Home » Which Quick-Release Base? The Quick-Release Base is the means of quickly, easily and securely attaching the device onto, or removing it from, the Mount. From the original standard TUSB we can now offer a range of options to more specifically suit individual requirements. It is important to note that each series of Daessy mounts (Standard, M-Series and Lite) has a separate set of Quick-Release Bases. 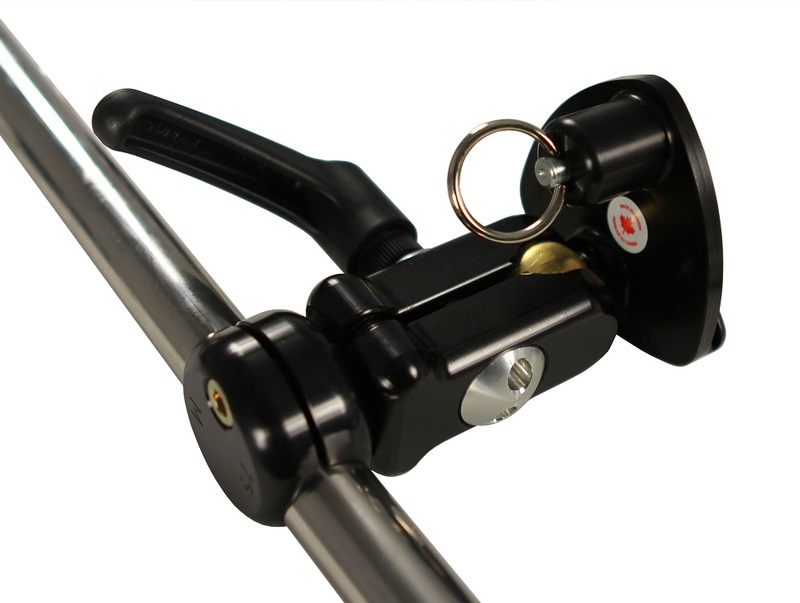 All Quick Release Bases feature the same curved slot and securing pin for device holder plates to connect with. The standard TUSB is still the most popular – this holds the device in one specific position although it can be moved along the tube and at a forward/backwards angle and locked into the required position by use of an allen key. This will be supplied as default with all Standard Series wheelchair mounts unless an alternative is specified with order. 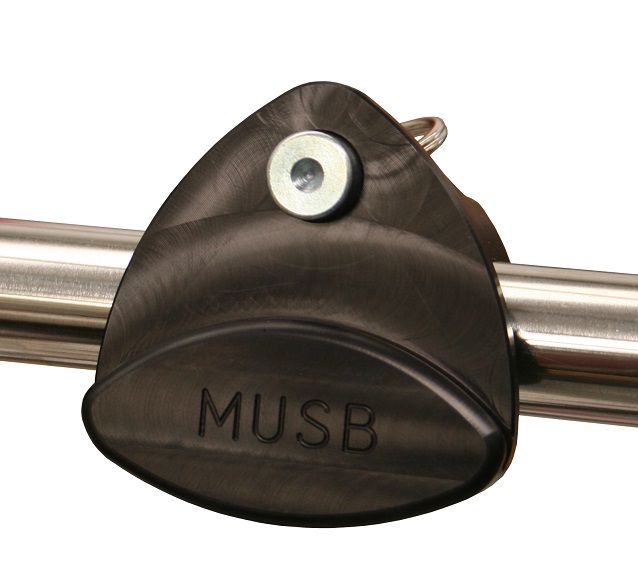 The Mini Quick-release Base (MUSB) is almost the same as the standard TUSB but has a smaller front surface/face. This is particularly suitable for smaller devices (upto 2.5kg) and those where the fittings on the back of the device obstruct the TUSB (egTellus Mobi). The Folding Quick-release Base (USBF) can more easily be folded backwards and forwards on the tube to a lying flat position – useful to improve visibility whilst driving the wheelchair if the mount and device are left in position. Adjustment is by a simple ring-pull instead of the allen key. 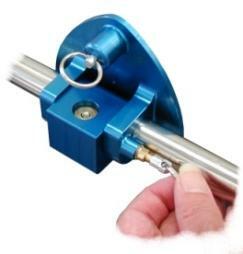 This is supplied as default with Standard Floor Mounts (Rolling Mounts) unless an alternative is specified with order. Only available with a large face. The Sideways Adjustable Quick-release Base (TUSBA) is useful for users who have a head position to one side. The Base can be set to left or right angle so the user is seeing the screen straight on. Adjustment is by allen key. Only available with a large face. The Friction Adjustable Quick-release Base (FAQRB) allows the device to be rotated through 360 degrees without use of an allen key. Only available with a large face. It is suitable for most eyegaze devices except those above 4.0kg (eg My Tobii P10) and is not suitable for any device needing a small face QRB (eg. Tellus Mobi with eyegaze). The Articulating Quick-Release Bases (AQR**) offer the most adjustability. By use of a ball joint the head can be rotated and angled to a precise position. 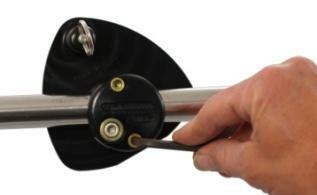 Available with standard or small face, and a choice of allen-key or handle adjustment. We have found this to be a popular choice for customers with Eyegaze devices. An Articulating Quick Release Base with large face is supplied as default with Articulating Floor Mounts (Rolling Mounts) unless an alternative is specified. AQRS87: Small face, no handles. 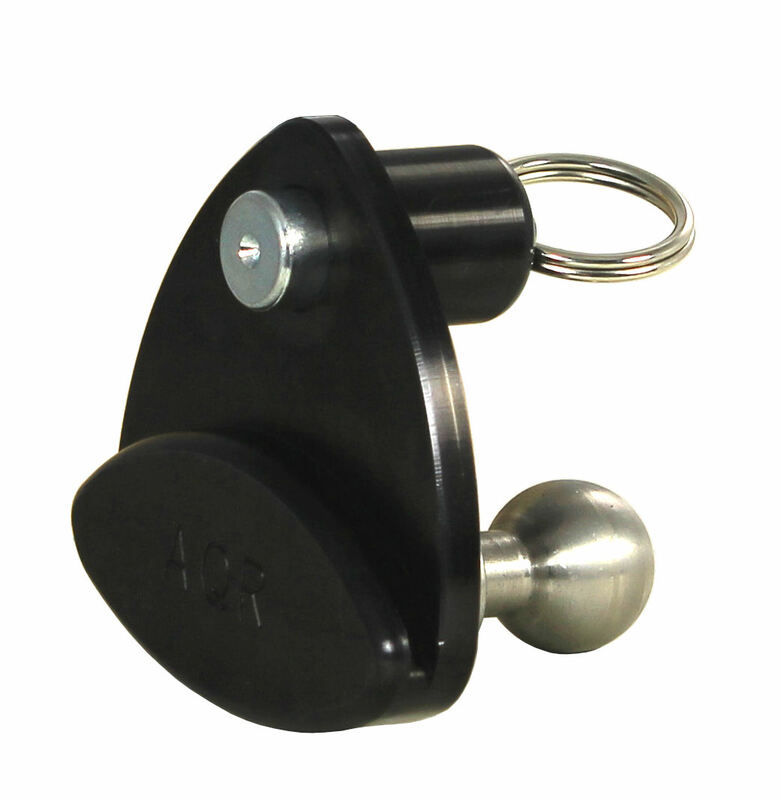 AQRS87-1H: Small face, Side adjustment handle. AQRS87-2H: Small face, Side and Rear adjustment handles. AQRL87: Large face, no handles. 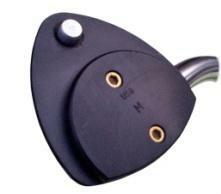 AQRL87-1H: Large face, Side adjustment handle. 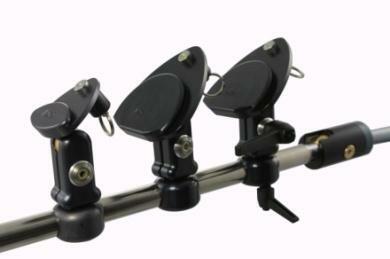 AQRL87-2H: Large face, Side and Rear adjustment handles. The MQR75 is the standard Quick Release Base for M-Series mounts – the M-Series version of the TUSB. 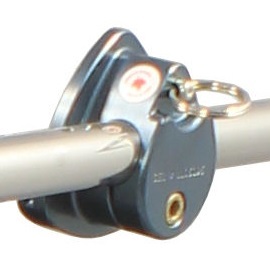 This holds the device in one specific position although it can be moved along the tube and at a forward/backwards angle and locked into the required position by use of an allen key. This will be supplied as standard with all M-Series wheelchair mounts unless an alternative is specified with order. The Articulating Quick-Release Bases (MAQR75**) for M-Series offer the most adjustability. 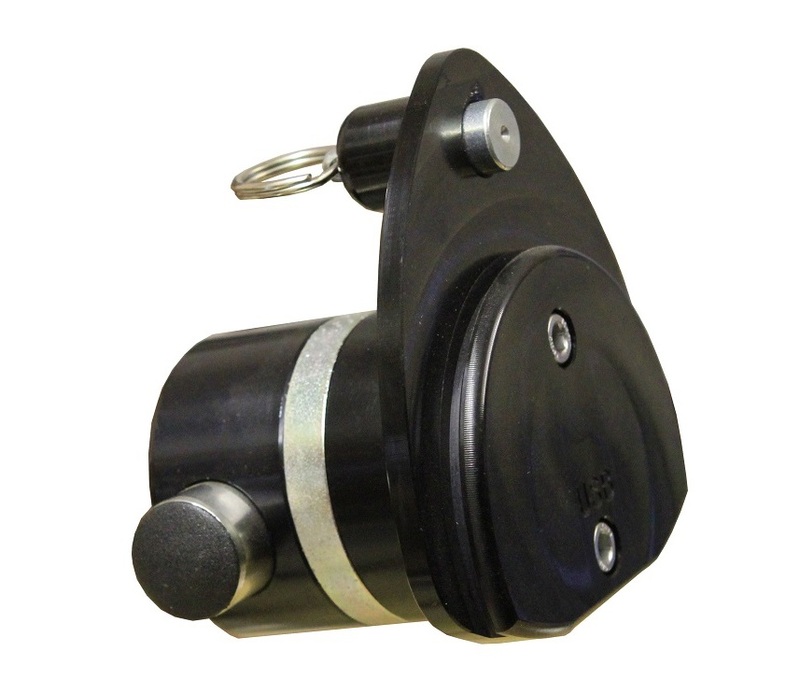 By use of a ball joint the head can be rotated and angled to a precise position. Available with a choice of allen-key or handle adjustment. MAQRS75: Small face, no handles. MAQRS75-1H: Small face, Side adjustment handle. MAQRS75-2H: Small face, Side and Rear adjustment handles. The LEF-75/AQR is the only Quick Release Base for Lite Mounts, providing a connecting point for iPads or other small tablet devices via their holder plate. Also available: VESA compatible Quick-release bases, special Camera mounting bases, Switch fittings. This is a quick reference overview of Quick-release bases. For detailed information, prices or to purchase please see Components.